Hurricanes: anyone that lives near the coast has felt first-hand the devastating impact that hurricanes can have on an area. Flooding, power outages, damage to buildings, trees down, roads washed out, new inlets created and much more destruction results. It is important to take hurricanes seriously, plan for them, and seek shelter when appropriate. 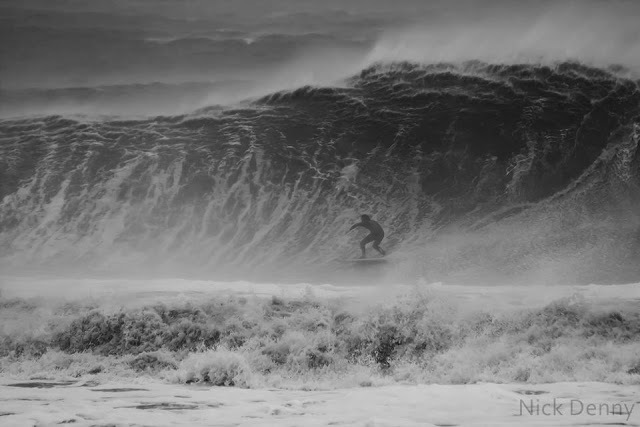 But for east coast surfers, hurricanes are also the best opportunity to score huge, clean waves. Typically the days after a hurricane are the best; the days before can be good, depending; the days when a hurricane hits directly are too rough and stormy (duh). Anyone that remembers Sandy from last fall knows that it kicked up some of the biggest waves the east coast has ever seen. 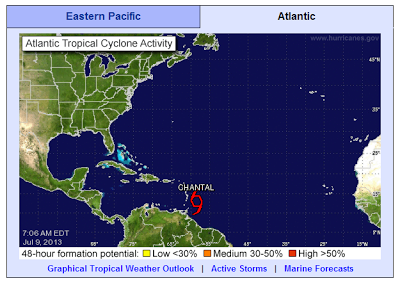 Hurricane season in the Atlantic began June 1 and runs until November 30. And the National Oceanic and Atmospheric Administration (NOAA) has predicted an active-to-extremely-active hurricane season. 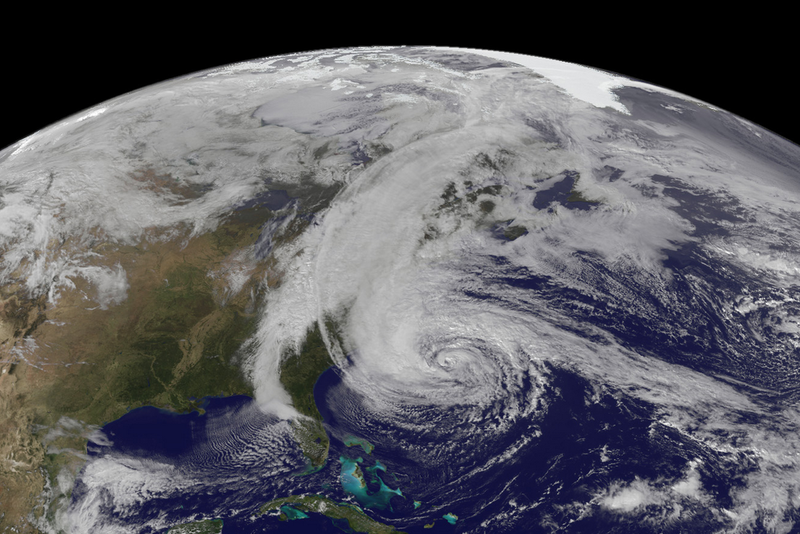 NOAA says there is a 70% likelihood of 13 to 20 named storms, with 7 to 11 hurricanes, and 3 to 6 major hurricanes. Named storms occur at winds of 39 mph or higher; hurricanes are storms with winds 74 mph or higher; and major hurricanes have winds of 111 mph or higher. 2013's predicted hurricane season is well above the average of 12 named storms, 6 hurricanes, and 3 major hurricanes. 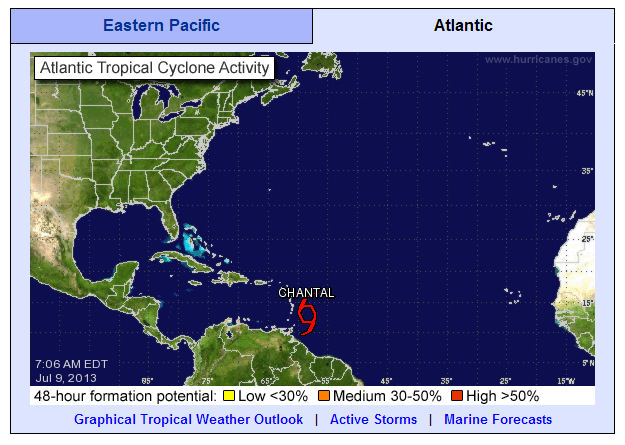 As of today, July 9, Tropical Storm Chantal is brewing just above the coast of South America into the Caribbean and Tropical Depression Erick has popped up off Baja. We will continue to track these storms and all others that develop along the coasts, with great interest in the Atlantic storms and their wave potential. Of course, remember to use common sense when planning for hurricanes and use caution when surfing in hurricane conditions!